In 2016, singer/rapper Childish Gambino blew audiences away with his Pharos show, where projections of futuristic imagery and animation inside an enormous dome surrounded the audience and performers throughout the concert. To complete the technological experience, the concert spawned a 360-degree video and a VR companion app. The show was such a hit that Childish Gambino, aka Donald Glover, set out to do it again in November 2018, this time with a fully interactive real-time system powered by Unreal Engine. The 2018 Pharos experience, which combined custom lighting, smoke, a laser show, and a mesmerizing visual experience projected onto the dome’s interior in real time, not only blew away fans but won the team a prestigious VES Award for Outstanding Visual Effects in a Special Venue Project in February, 2019. To prepare the show, Glover asked 2n Design and Weta Digital to design the system architecture, and also to style a different visual world for each song he would perform at the concert. 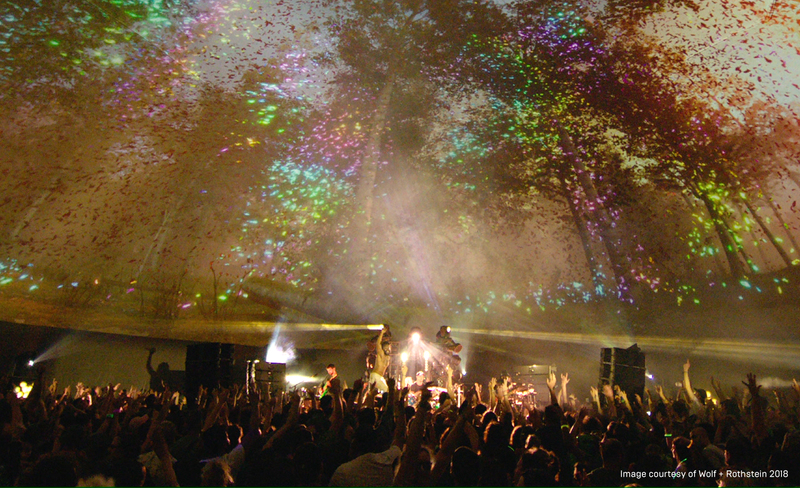 To display such large imagery across the dome’s surface, multiple projectors were required. 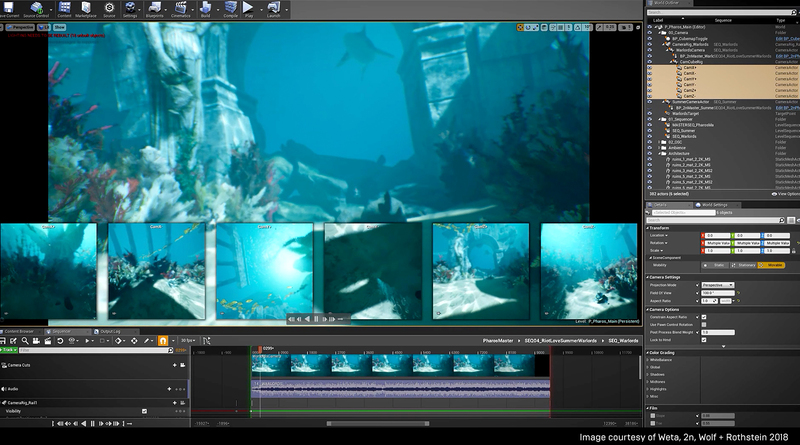 The team found a solution in nDisplay, the Unreal Engine utility for creating a seamless visual of a single scene from multiple projections in real time. The team calculated that they’d need a 5.4K by 5.4K image rendered by five frame-locked machines powered by NVIDIA Quadro P6000 graphics, then split into a fisheye and sent to 12 projectors. “Using nDisplay to be able to distribute the real-time rendering, and keep the resolution and the frame rate where it needed to be for this project, was key,” says Jeremy Thompson, Art Director at 2n. Even with such an ambitious creative goal, the team was able to achieve everything they set out to do for the 2018 Pharos concert experience, and more. 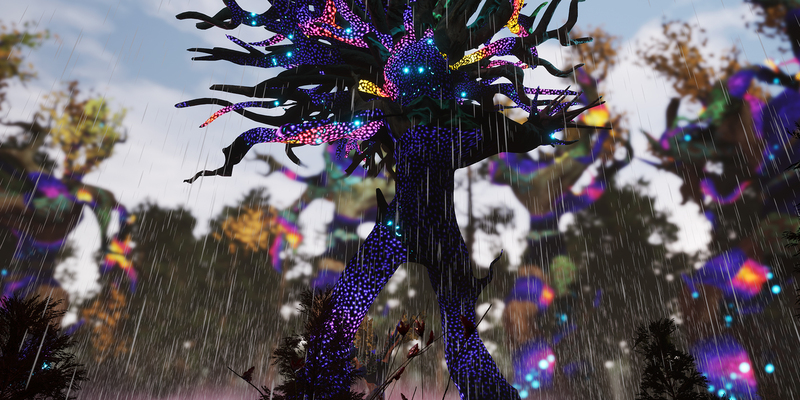 Woolfolk himself operated the visuals in real time during the concert, interacting with Unreal Engine via a MIDI controller to make the graphics’ timing gel perfectly with the music and other visual effects. The result was nothing less than spectacular, judging from fan responses, critic reviews, and even the team’s own reactions. “It's Donald's performance on the stage, it's the lighting, it's the smoke, it's the lasers, it's the band, it's the crowd, and the energy of the night,” says Keith Miller, VFX Supervisor at Weta Digital. “And when you finally see all those components coming together in a harmonious way, it's absolutely thrilling. 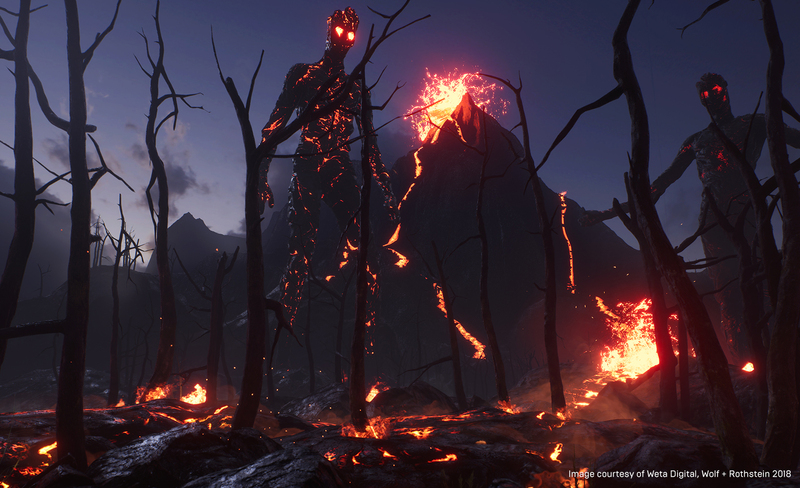 To create your own immersive experiences, download Unreal Engine and get started on your real-time journey! And to learn more about the NVIDIA technology behind the scenes of the Childish Gambino experience, head over to their blog.